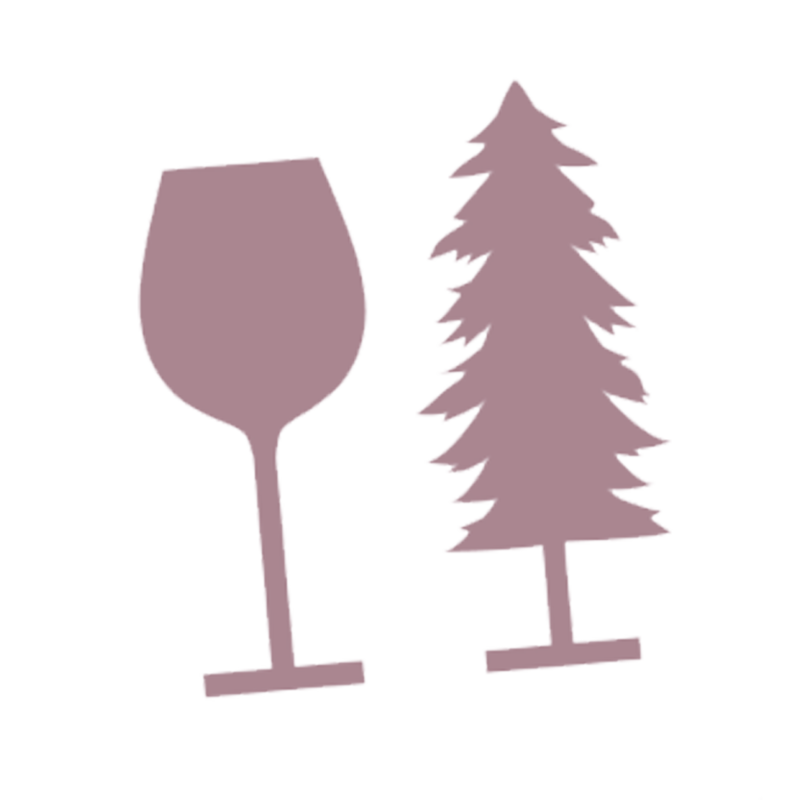 Taste of Redwood Valley is a group of wineries and distilleries that get together to host fun events every year in the beautiful Redwood Valley area right off HWY 101! It is a time you can come to Redwood Valley and enjoy the fruits of the land, meet the proud farmers and winemakers, hear the history of our beautiful county and visit sites that are not always open to the public. We host three events annually; one in February, June and November where we welcome the community to come out and enjoy some of the world’s finest wines and spirits right here in Mendocino County! Our unique Redwood Valley appellation runs along HWY 101 north in the inland Mendocino County grape growing region, which is distinguished from other appellations by its geographical elements, weather patterns, and most importantly by the generations of families who farm grapes in this micro-region. Italian and Greek immigrants were the first grape growers to establish vineyards in the late 1880s. They sought out the benchlands above the headwaters of the Russian River where the soils were well-drained, the climate permitted the grapes to mature, but was still cool enough to allow the grapes to ripen slowly to enhance the deep, rich flavors of the grapes. Most all of these lands are still being farmed by the 4th and 5th generation farmers that take great pride in their land and fruits produced. Like Gina Gallo said in her 2018 very powerful speech at Unified in Sacramento while talking about all the new farming technology available, "But my grandfather has a saying: you can tell the quality of the vineyard from the farmer's footprint in that vineyard. You can ask a farmer who has been working the land for decades where the strongest vines are in the vineyard, and he can tell you." That is exactly the farmers we have here in our beautiful valley. Admission for every Taste of Redwood Valley event is free, just bring your own glass to enjoy tastings! Get your passport stamped at all SEVEN locations and receive a 50% coupon off select items! Do I need to bring my own wine glass? Yes, please bring your favorite glass to enjoy the tastings! Will there be glasses available for purchase? 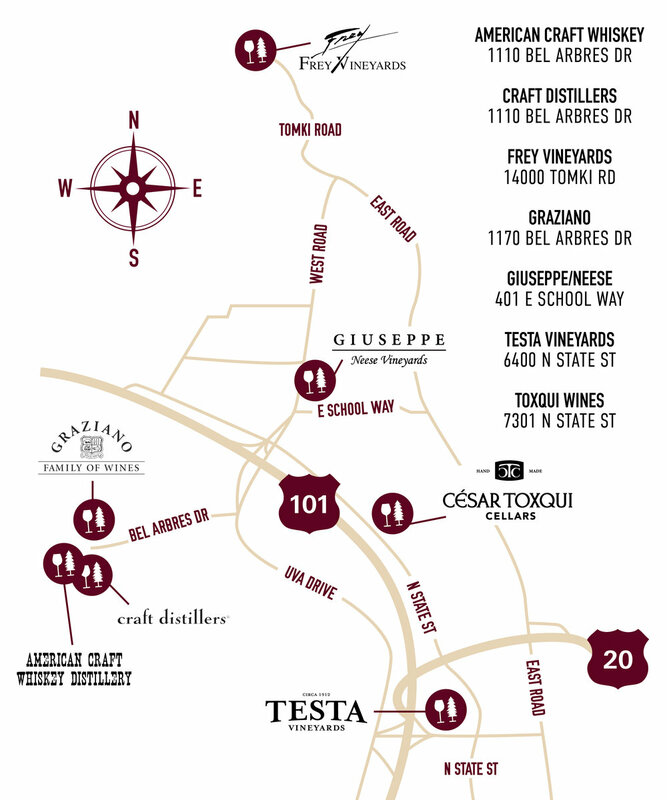 including Testa Vineyard and Graziano Family of Wines. Can I start at any location? Yes! Start at any location that works best for you! Where do I get the stamp card? All locations have stamp cards available for pick up! and shuttle services available! Enjoy Responsibly! What are the select items for 50% off? Each location offers different select items for the sale! 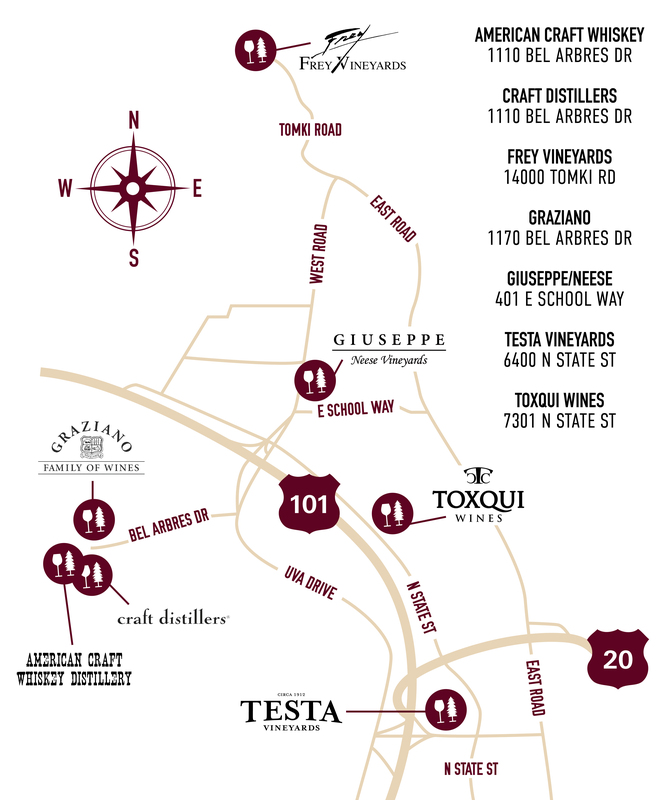 This map shows the participating wineries and distilleries of our events. Take your time in this area, find your favorite wine, food and place to really RELAX and enjoy your time off.